Here, in the UK, the roads and trains seem to be a little bit quieter than normal, possibly due to people taking time off before their children go back to school next month. On Monday morning, I was up bright and early to go to New Covent Garden Flower Market. When I woke at about 4.45am it was still dark outside, a sign that our summer is starting to come to an end…but thankfully by the time that I walked to the train station at 5.30am, it was light. 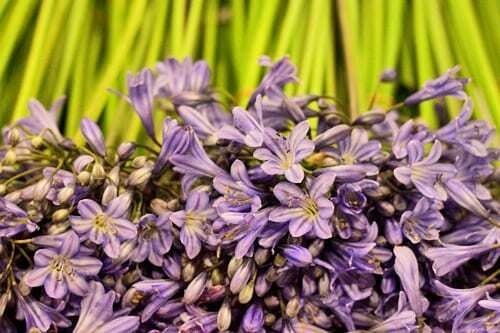 Above are beautiful British agapanthus which I saw on the Pratley stand. 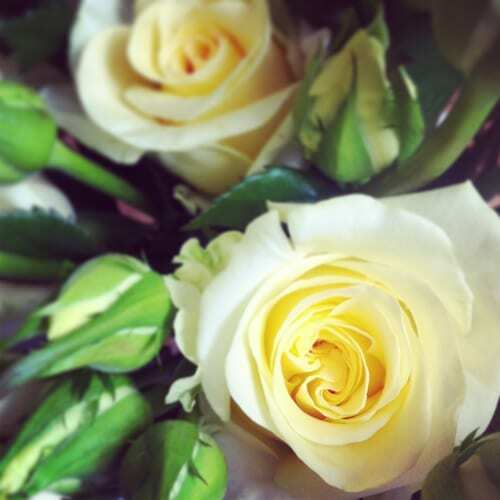 And below are stunning, scented Creme de la Creme roses which were on Dennis Edwards‘s stand. Mainly stay-at-home days in the office…writing and answering emails, editing images, writing blog posts and guest blog posts, plus using social media. 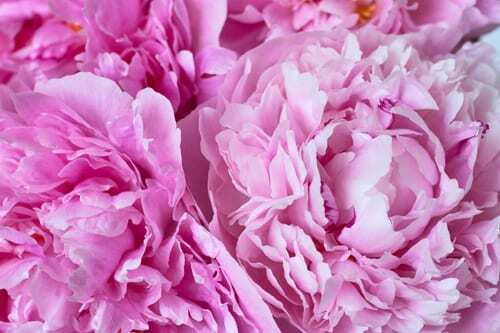 On the Laura Ashley blog, I wrote and compiled a blog post about one of my very favourite flowers, the peony.